Omaha Door & Window Company has the perfect storm door, storm window, or window guard for your home improvement project. 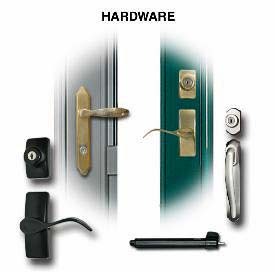 Quality storm door and storm window manufacturers like ProVia Door, Falcon, Home Guard, Quaker, and Elegant Security make a large assortment of models and styles to choose from. Omaha Door & Window offers installation, remodeling, and removal of old doors or windows by our experienced installers. Let our professional sales staff answer any questions you may have and give you a free estimate. From its humble beginning in 1940, ProVia Door has maintained its original commitment to product excellence and innovation. Contributing to the ProVia Door longevity are the foundational values of its Swiss-Amish community, deeply rooted in a rich tradition of craftsmanship, service and a strong work ethic. Today ProVia continues a tradition of quality people producing quality products. Spectrum™ Storm Doors feature two InVent™ retractable screens with Compound Tension sashes. Homeowners appreciate the smooth functionality, along with the beauty & durability of storm doors from ProVia Door. Spectrum Storm Doors are available in 13 colors. Provide a stylish, fresh look to your entry when you select one of the distinct styles from the ProVia Decorator Series storm doors. Beveled glass and brass accents are a few of the touches you can choose to give your home an elegant appearance. 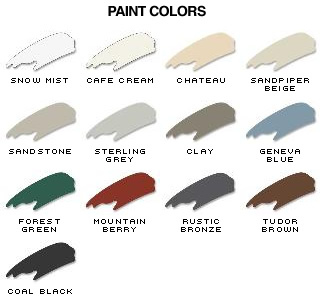 Decorator Storm Doors are available in 13 colors. 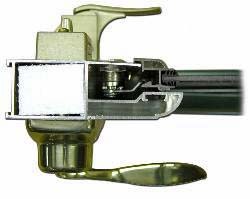 Anodized Brass Look Piano Hinge 0. Whether you’re looking for additional light, ventilation, or protection from the elements, you’ll find the exact style you’re looking for in the ProVia Deluxe Series. Deluxe Storm Doors are available in 13 colors. 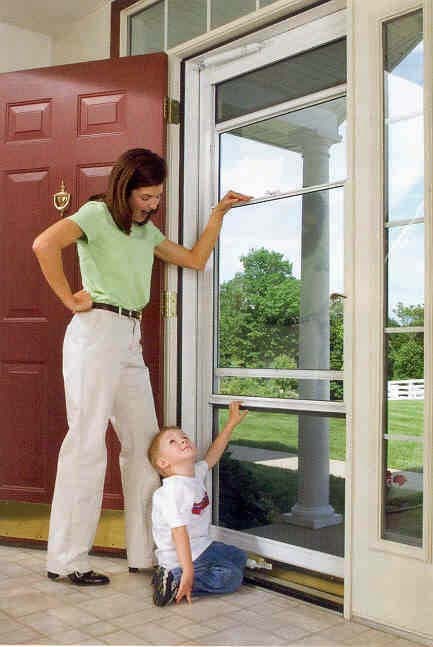 If you’re concerned about keeping small children and pets safely inside, select one of our DuraGuard Series storm doors with heavy-duty stainless steel screening. DuraGuard Storm Doors are available in 13 colors. Superview Series storm doors are built with a narrow but durable frame providing a wider viewing area while adding style and value. Superview Storm Doors are available in four colors: Snow Mist, Café Cream, Rustic Bronze, and Tudor Brown. Actual colors may vary depending on your computer screen display. Falcon Aluminum Storm Doors are the most durable doors money can buy. How can Falcon say this? They don’t cut corners! Falcon storm doors are made using an exclusive manufacturing process you won’t find anywhere else. Instead of joining four separate pieces, the Falcon storm door frame is made of one continuous aluminum extrusion, from which four 90-degree wedge cuts are removed to allow for the corners to be folded together. Reinforced by an interior gusset and held tight with a screw, this one-piece frame is extremely strong and highly durable. 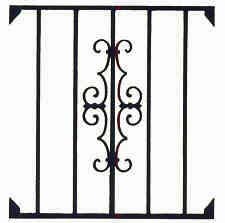 Fullviews and Self-storing Venting models are available as well as (5) color options and many handleset styles. Falcon F600 Series Aluminum Storm Doors allow you to custom design your storm door. 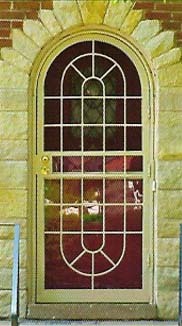 Choose from the following glass design options: two brass inlay glass, two v-groove glass, screen print decorative glass, and insulated glass to create a unique entrance to your home. Its one-piece frame construction makes this storm door extremely sturdy. All Falcon series F600 storm doors are built with a foam-filled master frame and a double sweep expander rail to make a tight weatherseal on the bottom of the door. 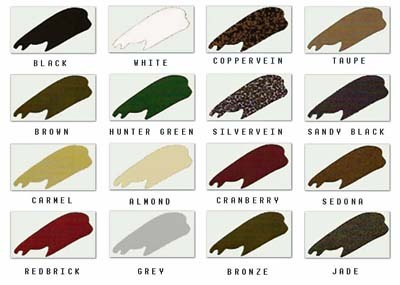 Custom sizes and (7) colors are available: White, Beige, Sandstone, Maroon, Forest Green, Wineberry, and Wedgewood Blue. Falcon F498 Phoenix III Series is a Fullview Aluminum Storm Door that has a Venting Glass Kickpanel. These extremely durable storm doors are constructed using exceptionally strong materials. The F498 comes standard with 1/8” Tempered safety glass. An Aluminum wire screen is included for the vent in the lower section. The Falcon F498 features the unique Wrap-Around Corner creating a door slab made of one continuous piece of aluminum for extra strength. Custom sizes and (5) colors are available: White, Bronze, Black, Beige, and Brown. Falcon F400 Imperial Series is an Equalite Self-Storing Aluminum Storm Door. Its standard Kickpanel is made with embossed aluminum. An optional Insulated Kickpanel is also available for extra strength and energy savings. These extremely durable storm doors are constructed using exceptionally strong materials. The F400 comes standard with 1/8” Tempered safety glass. An Aluminum wire screen is included for the vent in the middle. The Falcon F490 features the unique Wrap-Around Corner creating a door slab made of one continuous piece of aluminum for extra strength. Custom sizes and (5) colors are available: White, Bronze, Black, Beige, and Brown. 4 1/8″ Extruded Aluminum Hinges with Steel pins and Oilite Bronze Bushings. Protect your home and family with these beautiful Steel Security Storm Doors from Home Guard Industries, the leader in home security doors. Beauty, Insulation, and Security are created by combining Art-Carved Metal Sheets with Heavy-Gauge Steel Tubing. Allow your entrance door to make a stylish statement. An elegant way to meet friends, a safe way to greet strangers. Home Guard is the industry leader in specialized doors including round-tops, cathedral-tops, arch-tops, odd sizes and custom doors.The Home Guard Industries team has always been proud to be called a custom shop. They build doors to fit your home. 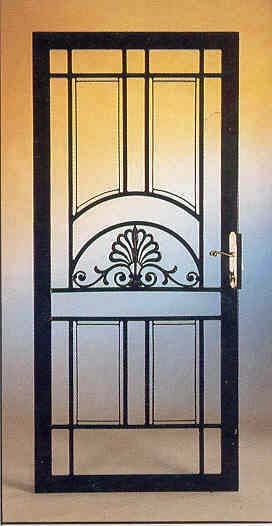 A Beautiful, Durable Powder Coat Finish is Standard on All Home Guard Steel Security Storm Doors. POWDERCOAT – The ultimate metal coating. All doors are pre-treated with a five-stage wash system and top-coated with a high-quality, baked-on, TGIC polyester powder coat finish. The standard color is black with (16) custom colors available. The “no compromise” combination storm window, built to provide years of dependable service in the most punishing weather conditions. Extra strength and protection from the elements are designed into this extraordinary window value. T.V.A. 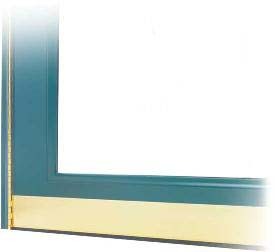 Weatherstripping Package; consists of anti-bow clips, a tie bar at the mid span of the window, and fin seal weatherstripping which results in a much more structurally stable and energy efficient window.